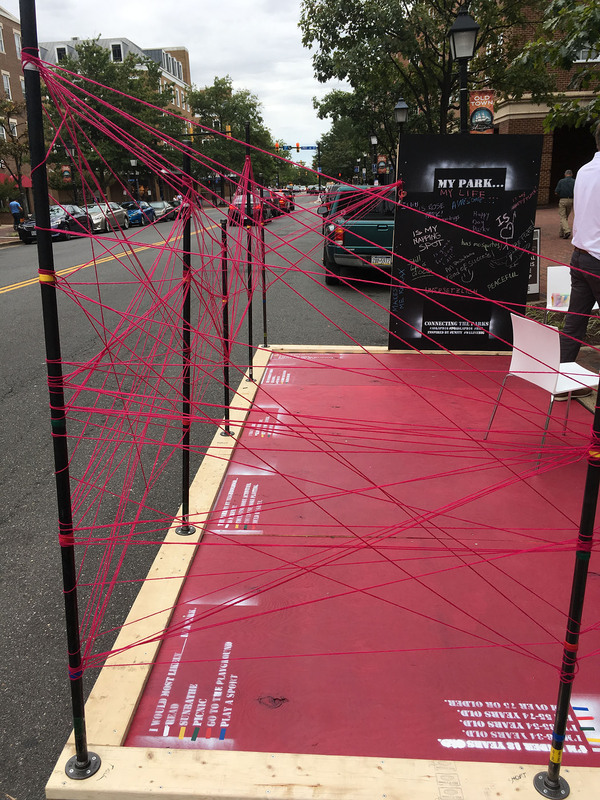 PARKing Day is a world-wide event where designers, planners, and citizens alike transform parking spaces into temporary parks. 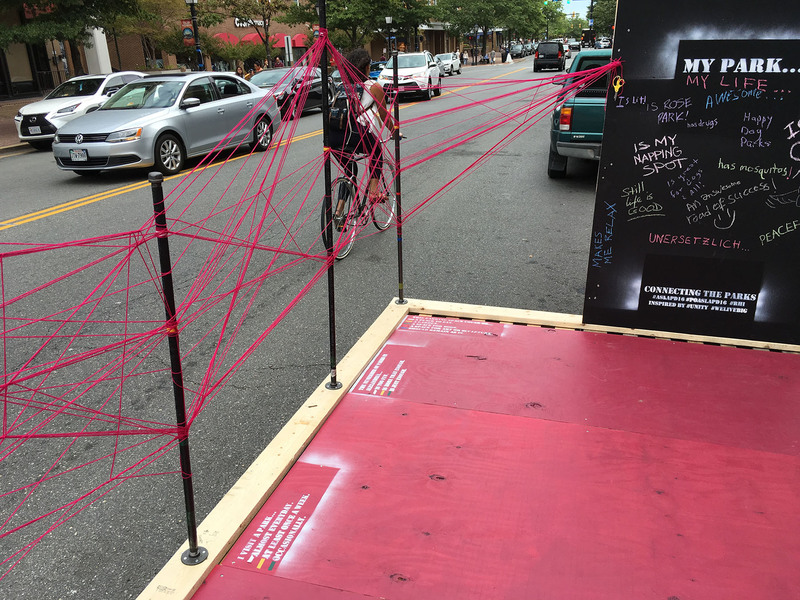 The event brings awareness to the role of public spaces and how little it takes to create an inviting place. 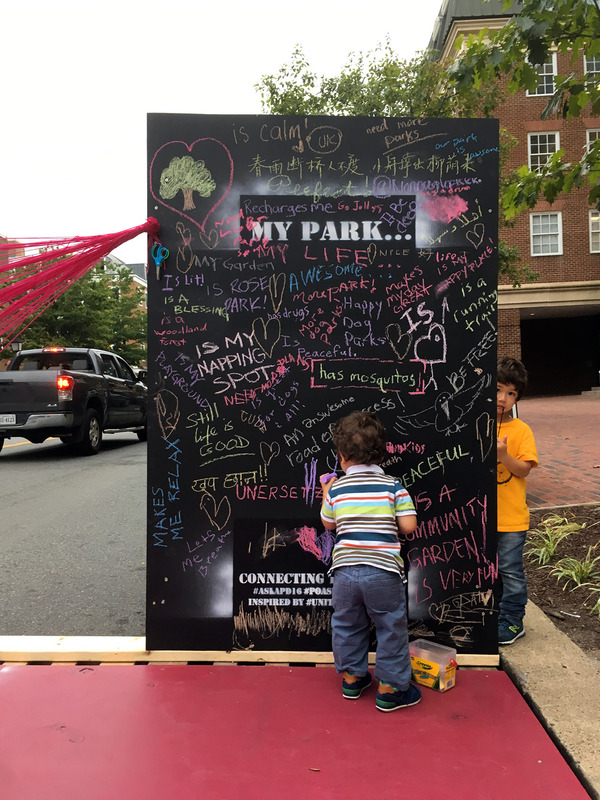 This park asks the public how they use parks and what their park needs are. 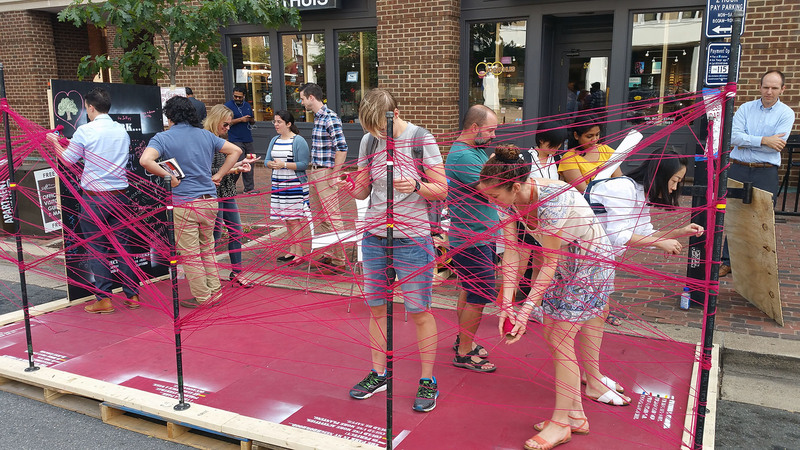 Inspired by Nancy Belmont’s recent installation of UNITY, the ‘park-user’ strings their yarn from pole to pole, connecting to each response. 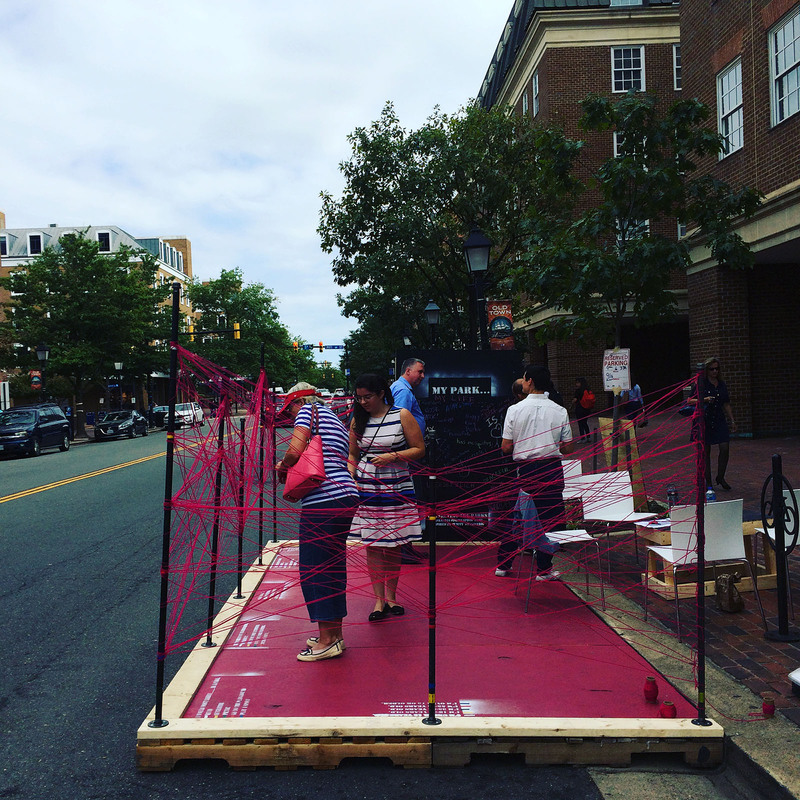 The end result is a visual survey of Alexandria’s park-users. 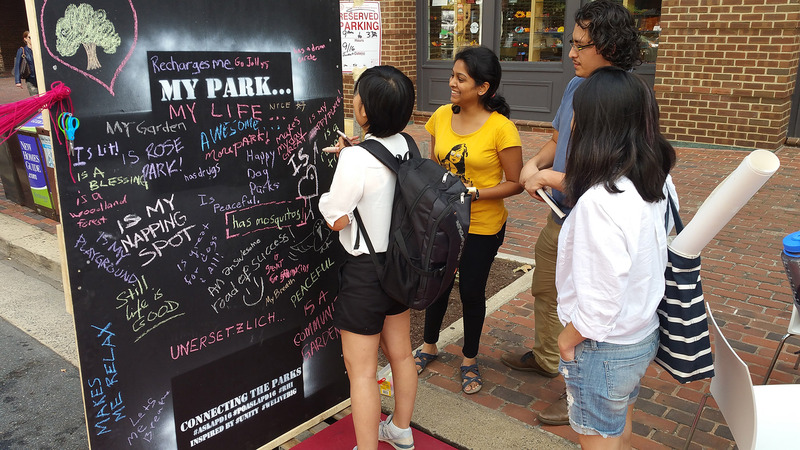 The blank chalkboard provides an opportunity for users to define what ‘my park…’ means to them. Check out our installation below.